Last weekend I attended a costume party and since I didn’t have time to design a proper costume, I decided to go with a classic all-black outfit and do something nice with the makeup. 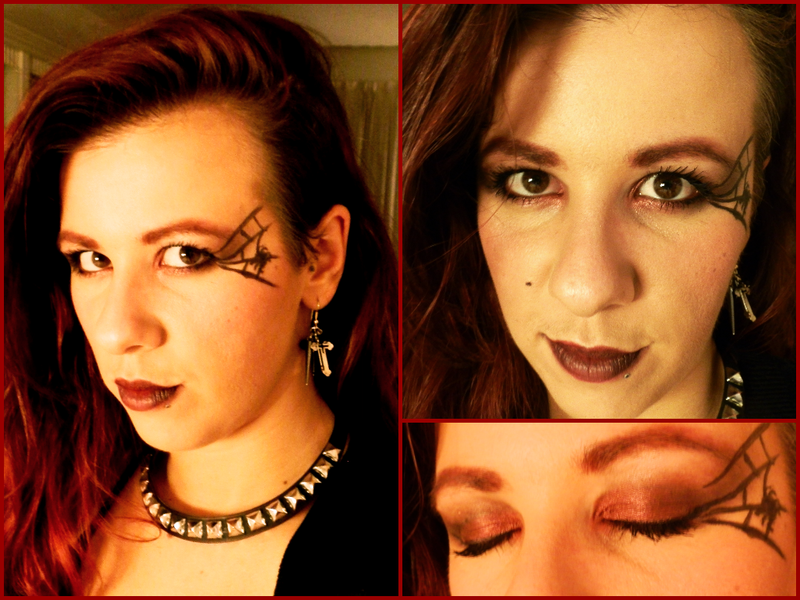 The dark eye look I really like and would actually wear it on a normal night out, so i added a little spiderweb with a waterproof liquid eyeliner to make it more Halloweeny. And for the lips, I layered a dark red lipstick and then blotted it with some black eye shadow on the corners of the mouth to give it a bit of a twist. What is your Halloween go-to look?